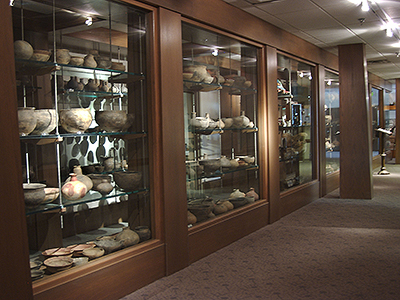 The Arkansas Archeological Survey Headquarters building has an Open Curation area where visitors can see nearly 2000 objects from the University of Arkansas Collection Facility. 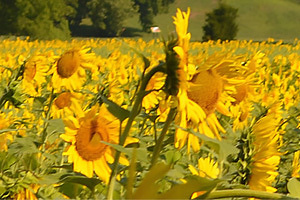 The area is open during regular business hours, 8AM to 5PM Monday through Friday. For information, call (479) 575-3556. 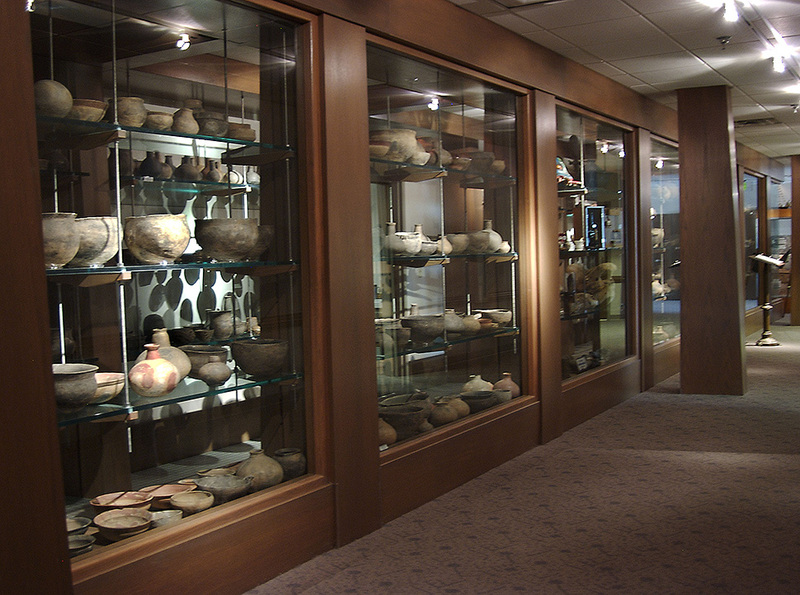 The University’s secure Curation area where most artifacts are held is visible through the foyer of the Survey Headquarters. Access to the University collections for research and other purposes can be arranged through Mary Suter, curator of collections. For information about access to the secure area, call (479) 575-3456. Call or email your local Research Station Archeologist. 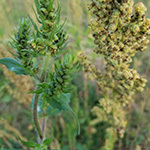 If possible send digital images of the artifact (front and back, using a coin for scale). 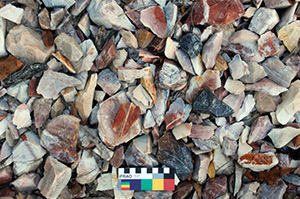 We’ll do our best to identify the object and, if possible, provide an age range. 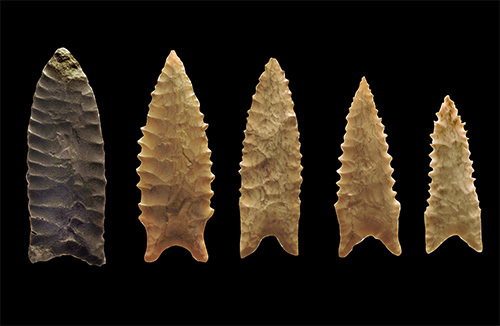 Prehistoric artifacts most often cannot be associated with a specific historic tribe. And remember, our archeologists do not appraise artifacts or guarantee their authenticity for commercial purposes. And we want your help! 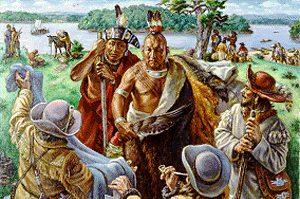 You may join our partner organization, the Arkansas Archeological Society. 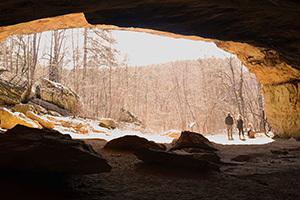 Founded in 1960, the AAS unites people interested in Arkansas archeology, heritage preservation, and fostering public interest in our state’s fascinating and ancient history. 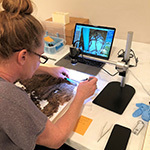 Society members work hand-in-hand with the professional staff of the Arkansas Archeological Survey, participating in scientific investigations to learn more about our past. Click here for additional information. Do you want to report the location of an archeological site, ask questions about a site, or find out your legal rights as a site owner? Contact the State Archaeologist or the Station Archeologist for your county. 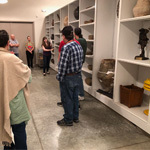 Our professional staff is available for presentations on a wide variety of topics suitable for school classes and other audiences, including civic organizations, libraries, museums, and local history groups. To arrange a speaker, contact your local Research Station Archeologist or the Survey Coordinating office at 479-575-3556 or arkarch@uark.edu. 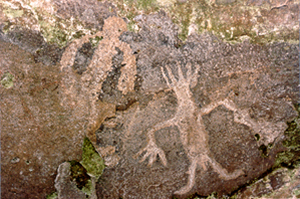 The Arkansas Archeological Survey can often provide assistance to municipal leaders and other public officials dealing with cultural resource issues associated with development activities. 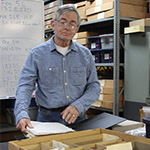 Please contact the State Archaeologist via email at amearly@uark.edu or by phone at 479-575-3556.